Onychomycosis, the medical term for fungal infection of the nail, is a common problem that is very difficult to treat. The toenails are more often affected than the fingernails, and the big toe is affected the most. There is often fungal infection of the skin near the nails, which on the feet is called tinea pedis or athlete’s foot. Since this is an infection, it can spread from one nail to another, although that does not always happen. Onychomycosis is not dangerous. The affected nails become thick and difficult to cut. People with affected toenails may experience discomfort. This is especially true for the big first toenail. The pressure of shoes on it can be painful. Affected nails can get caught on clothing. There is a definite cosmetic problem with onychomycosis, especially of the fingernails. Most people want to get rid of the infection and make the nails appear more normal. Fortunately, there are a few good or guaranteed ways to treat onychomycosis and a few treatments to avoid. This is not for lack of trying. Medical doctors as well as homeopaths and people experiencing the problem have all tried many different ways to get rid of the fungus. While no one has found a perfect cure all, there are a few treatments that are worth trying as the results are promising. Most of the fungi that cause nail infections are called dermatophytes, meaning that they like to grow in the skin. Candida, commonly called yeast, can also cause onychomycosis. The appearance of an involved nail depends on where the infection begins. Most of the time, fungus gets into the sides or end of the nail. 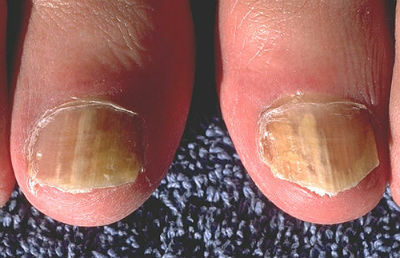 This results in a thickened and yellowed nail with debris underneath that most people recognize as a fungal infection. It can also penetrate from straight above the nail, which causes a superficial white, powdery appearance. Fungus can get into the nail from where it begins, especially in people with depressed immune systems. In these cases the entire nail will grow out with fungus in it. The more of the nail that is involved, the harder it is to treat. Before starting any treatment for this condition, you want to make sure that you are diagnosed properly. Other things can look like onychomycosis, including but not limited to nail damage as well as the changes in nails seen in people with psoriasis. Ideally you should see a doctor, and the doctor should take a sample of the nail and the debris beneath to look at under a microscope and to send for culture. Sometimes the microscopic examination and culture have to be done twice to get a definite diagnosis. You should be positive of the fungal infection before you start on any oral medication, if that is what you decide to do. If you want to try over-the-counter medication or home remedies first, if they aren’t dangerous, there is not much risk. However, since there are other conditions associated with abnormal nails, if you don’t see a doctor, you might be delaying the diagnosis of some other illness. All treatment of onychomycosis, whether traditional or alternative, in a doctor’s office or at home, using medicines or surgical techniques, is less successful than treatment of other fungal infections, for example, in the skin. The fungus seems to be quite successful at living in and around nails. Before specific treatment of onychomycosis of the feet begins, there must be a general assessment of the feet. Tinea pedis or “athlete’s foot” should be treated with an antifungal cream. This can be obtained over the counter or as a prescription. Lamisil® (terbinafine), Nizoral® (ketoconazole), Mycelex® (clotrimazole), Naftin® (naftifine), Loprox® (ciclopirox olamine) and others, including generic formulations are all effective. Calluses should be smoothed and moisturizer applied to any dry, cracked skin. Toenails should be kept short. The feet need to be kept dry. This means thoroughly drying feet and toes after bathing. Absorbent cotton socks should be worn and changed when wet. If it is suspected that a common shower is the source of the infection, for example, at a college dormitory, flip flops or other sandals can be worn into the shower. The feet showed by washed thoroughly with soap, dried, and the above suggestions continued. Towels and bath mats must be washed frequently in warm water. If family members have tinea pedis, they should also be treated. Any treatable underlying problem, such as diabetes, needs to be controlled as well as possible. Fungal fingernail infections are associated with different problems. There can be fungal infection of the skin of the hands, which should be treated. People with fungal fingernail infections often have wet hands a lot of the time. This can be work related or due to many activities at home, from doing the dishes to keeping the bathrooms clean. White cotton gloves can be worn under rubber gloves when cleaning. If damage has been done to fingernails due to artificial nail application or other materials, it is possible that there is more than just a fungal infection present. It is harder to be sure of a diagnosis of onychomycosis of the fingernails than toenails. A visit to the doctor is probably a good idea. Treatment must begin by making sure the hands and/or feet are being taken care of properly, as mentioned above. 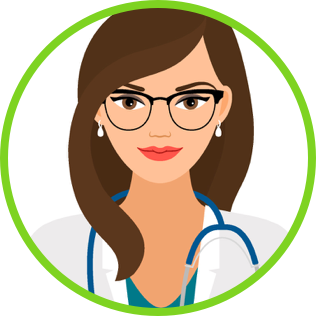 A primary care doctor, or podiatrist (foot specialist) or dermatologist (skin specialist) may be able to help with this, depending on what the person needs to have done, what the person expects, and what the experience of the physician is. Usually in the case of fungal infection of the toenails, trimming and removing extra thick toenail material is the first thing that needs to be done. Sometimes the nails are so thick and hard that it is virtually impossible for a person to trim them at home. Doctors have special instruments that enable them to cut off more. Podiatrists have burrs, which are kind of like sanders and can file down the nails. For some people, getting the nails trimmed and back to something like a normal size and shape may be all the treatment that is needed. They may just need regular visits to keep the nails trimmed. This is especially important for people with diabetes, poor circulation, and elderly people with bad vision. The feet and nails can become a source of serious bacterial infections if they are not taken care of. There are no studies to show what the natural history of onychomycosis is. Does it always spread? It does not seem to cause any serious problems. So for some people, nail trimming and reassurance is all that is necessary. All treatments attempt to kill the fungus and allow uninfected nail to grow out. It takes approximately 6 months for fingernails to completely regrow, 12 months for toenails to grow out, and 18 months for the great toenail to grow out. A person cannot know if the fungal infection has been cured for that amount of time. It seems reasonable to try to treat toenail infections with the same type of antifungal medications used on the skin. The only topical medicine approved for use in the United States is ciclopirox olamine 8% (Penlac) which is a lacquer. There are other medications available in other countries. Penlac needs to be put on the surface of the entire nail and the skin around it every day. Once a week, it is removed along with debris and unattached nail. Naftin, Lamisil, and Loprox creams may also be used for onychomycosis. There have only been small studies done using these creams. There are topical medications available in other countries that may at some point become available in the United States. The use of urea cream may help any topical medication penetrate the nail. Urea can also dissolve the toenail. There is very little chance of an actual cure with topical preparations. They must also be used for months to years. However, if a podiatrist or doctor can significantly trim and pare down the thickened nail, and topical treatment is used, the cosmetic result may be satisfactory for some people. Podiatrists may also drill a hole in the nail to allow medication to get underneath. This is not as painful as it sounds. Topical treatment may be the only choice for anyone who cannot take oral medications for fungus. As described above, trimming the nail and removing debris should be part of all onychomycosis treatment. It was believed that removal of a nail at the beginning of therapy, especially the big toenail, might increase the chance of a cure. This is no longer done routinely. It is only done when everything else fails and the nail is creating a significant problem because of its shape and size. At one time it was thought that oral medication might be the answer to the problem of onychomycosis. Getting anti-fungal medicine into the bloodstream would deliver it to the base of the nail, and under the nail, making sure to kill all the infection. However, oral medicines do not work as well as expected, and their side effect profile may make the cure worse than the disease. It depends on the severity of the fungal infection, other medical problems that underlie the condition, and the medication itself. The most commonly used oral medication, and the treatment of choice for onychomycosis is terbenafine (Lamisil®). This medication has been proved to kill most of the fungal organisms that infect nails in the laboratory as well as in actual patients. The dose is 250 mg a day for six weeks to treat fingernails, and 12 to 16 weeks to treat toenails. Common side effects of terbenafine therapy include headache, rash, and upset stomach. Serious side effects occur in less than 1% of patients, including severe rash and reduction in white blood cells. The most worrisome side effect is liver damage, which is usually mild and reversible. Liver abnormalities that are enough to cause symptoms only happen in approximately one out of 50,000 exposures, with complete liver failure much less common than that. However, anyone with liver disease cannot take terbenafine. Liver function tests should be done before beginning therapy. Many doctors repeat these tests after 4 to 6 weeks. About 3.4% of patients who take terbinafine stop the medication because of side effects. Itraconazole (Sporonox®) is also used. 200 mg a day can be given for 12 weeks to treat a toenail infection. There is also “pulse therapy.” This means giving 200 mg twice a day for one week out of a month, for two months to treat fingernails and three months to treat toenails. 5% to 10% of patients develop nausea, vomiting and/or liver damage. 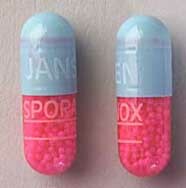 Sporonox can also cause congestive heart failure; patients with existing heart failure cannot take it. In general, there are fewer side effects with pulse therapy than daily therapy. However, even with pulse therapy there can be liver damage bad enough to necessitate a liver transplant. Fluconazole has also been used to treat onychomycosis. It only needs to be taken once a week, for a total of 3 months for fingernails or 6 months for toenails. It does not work as well as terbinafine or itraconazole. Whether or not any of these treatments have cured the fungal infection is never known for many months, until the fingernails or toenails have grown out. Terbenafine had a higher cure rate than itraconazole. The outcome can be measured by appearance of the nail or absence of fungal elements. The “cure” rates have been measured as low as 50%, and as high as 80%. Even when the fungi are gone, the nail may not appear completely normal because of some other underlying problem or damage to the nail bed. There are also frequent relapses. The use of creams applied to the nails after oral therapy may help prevent relapse. The cost of this treatment is high. It is estimated that the cost to cure onychomycosis with terbinafine is from $2,500 to $8,000. There is still a 30% chance of recurrence after a cure. Considering the cost, side effects, and low success rate of prescription medication, looking for alternative treatments seems very reasonable. Some alternatives have been mentioned in terms of general care of the skin and nails. One herbal remedy that seems to be very successful in treating onychomycosis is tea tree oil. Tea tree oil has been studied for a number of skin problems and is already available as a prescription medication for genital warts. Tea tree oil can kill the fungi that cause nail infections in the laboratory setting. There have been some small clinical trials of tea tree oil in treating nail fungus that show promise, although rigorous, large scientific studies have not been published. In one trial, a combination of a known antifungal (butenafine hydrochloride) together with tea tree oil was used in a randomized, double-blind study in 60 patients with fungal infection of toenails. Treatment included the cream as well as clipping and removing as much toenail as possible, for 8 weeks. At 16 weeks, 80% of participants given the active ingredients were said to be cured, in that their symptoms were better and involved toenail removed. 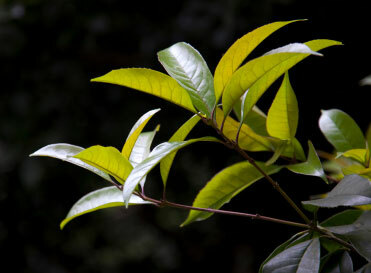 The placebo in this case was tea tree oil, which did not cure any patients. This is an example of a possible way tea tree oil might be used along with another local cream but not by itself. Other home remedies have included soaking the nails in vinegar, or water with baking soda, strong tea, and bleach. Bleach application can be dangerous. The bleach would have to be diluted to avoid chemical burns. When these home remedies are used along with care of the nail, such as cutting it correctly and removing debris, they may improve the appearance of onychomycosis. Tea tree oil is a home remedy at the current time; it may become a prescribed medication in the future. Any promising home remedy can interest doctors and researchers enough to look into it further. Tea tree oil taken orally is also considered an alternative treatment for onychomycosis, but there is little evidence at this time that drinking tea tree oil does anything to cure the fungal infection. There are 2 alternative treatments whose active ingrediants contain tea tree oil, Zetaclear & Funginix. Doctors continue to look for a good way to cure onychomycosis. Studies have been done using photodynamic therapy. This is a way of using light to cure the infection. Doctors recently reported successful treatment of two patients. The affected toenails of the patients were pretreated with a substance called 5-aminolevulinic acid (ALA). They were also pretreated with urea, and the involved nails were covered with plastic film and aluminum foil to shut out light. Before treatment, the area was uncovered and light was used to make sure the ALA had penetrated the nail. A pulsed laser light was then used to treat the involved nail. The treatment was slightly painful for about a day. Treatment was repeated once a week for 6 to 7 treatments. At the end of treatment, the nails appeared cured. No fungi could be grown from the nails. Reevaluation at 3 to 6 months still showed apparently normal nails. There are many different ways of delivering heat or light to infected nails. There are a number of different lasers capable of treating nail fungus. One is called the “Noveon.” It is a dual-wavelength, near-infrared diode laser. This particular wavelength kills fungi without damaging normal tissue. In one recent controlled study, 26 infected toes were treated. Treatment took place on days 1, 14, 42 and 120. All were followed for at least 180 days. 85% were judged improved because of clear nail growth. This study was done to make sure the treatment was both safe and effective. There are other laser systems under investigation. Many laser systems are being tested or will be tested to see if they can help cure or control onychomycosis, and it appears that some of them will. Laser treatment will probably not completely cure the infection but help control it, and may be useful along with other therapies. Plastic (cosmetic) surgeons often possess a wide variety of lasers and devices that deliver heat or energy. It is likely that the best type of laser treatment will be found in the relatively near future. However, this treatment will always be expensive. While some will be looking at lasers and other possible oral medications, other researchers will continue to evaluate herbal remedies and home remedies to look for safe and inexpensive treatment for onychomycosis. Roberts DT, Taylor WD, Boyle J. Guidelines for treatment of onychomycosis. British Journal of Dermatology 2003; 148: 402–410. De Berker D. Fungal Nail Disease. New England Journal of Medicine 2009; 360: 2108-16. Choi S. Fungal Infections. Manual of Dermatologic Therapeutics 7th edition. 2007. Arndt KA, Hsu JTS, editors. Lippincott Williams & Williams. Philadelphia, PA 2007. Elizabeth T, Meireles F, Gadelha Rocha MF, et al. Successive Mycological Nail Tests for Onychomycosis: A Strategy to Improve Diagnosis Efficiency. The Brazilian Journal of Infectious Diseases 2008; 12(4):333-337. Syed TA, Qureshi ZA, Ali SM, et al. Treatment of toenail onychomycosis with 2% butenafine and 5% Melaleuca alternifolia (tea tree) oil in cream. Tropical Medicine and International Health 1999; 4(4): 284-287. Martin KW, Ernst E. Herbal medicines for treatment of fungal infections: a systematic review of controlled clinical trials. 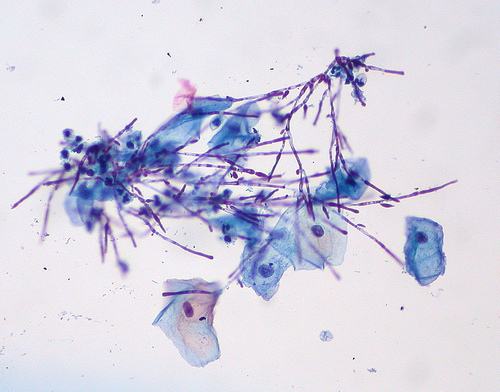 Mycoses 2004; 47: 87–92. Rehbock, D. Common Nail Conditions that are treated by the podiatrist. SA Pharmaceutical Journal – January/February 2009: 32-36. Watanabe D, Kawamura C, Masuda Y, et al. Successful Treatment of Toenail Onychomycosis With Photodynamic Therapy. Archives of Dermatology 2008; 144(1). Landsman AS, Robbins AH, Angelini PF, et al. Treatment of Mild, Moderate, and Severe Onychomycosis Using 870- and 930-nm Light Exposure. Journal of the American Podiatric Medical Association 2010; 100(3). This entry was posted in Nail Fungus, Onychomycosis, Toenail Fungus. Bookmark the permalink. Its a very great post you have here very thorough and complete. Tea tree oil works great topically. The nail may fall off but usually will regrow. If using it neat causes irritation, try diluting with clean distilled water or clean olive oil. You should never take tea tree oil internally. Consult a certified aromatherapist or herbalist for more detail. Thanks so much for putting this info out there. Tetra Formula 3 has worked great for me. In my experience, toenail fungus is simply a symptom of an acidic inner terrain. When it first happened to me I stumbled on a “cure” – alkalized water and zeolite. I had also switched to a more alkaline diet (more raw food). Within 6-8 weeks, the fungus totally grew out. A large wart in my groin also disappeared (it had been there for 20 years). The next time the nail fungus happened (after stressful period and poor diet), I simply alkalized with sodium bicarb. The fungus grew out the same as before. I kept my pH at about 7.5. About half-way through, I started taking lime juice with the bicarb – for potassium to help balance the sodium. I now add blackstrap molasses as a sweetener and to add nutrients. Fungus is a symptom worth dealing with. Its like candida. Some say that this acidic state puts you in a pre-cancer state. Sodium bicarb, lime juice and molasses are natural and cheap and have no side effects. The lime and lemon juice are great liver stimulants – they are anionic, the same as liver enzymes. All other foods are cationic. official website for more info on it. Thank-you for your post. I am curious if anybody knows if it would be safe to try home laser hair removal systems on the toenails or if this could be dangerous. The home hair removal laser system uses “pulsed light” and I understand the new nail fungus lasers use either high-powered Nd:Yag laser or low-powered near infrared diode laser. What could be the potential risks? I am keen to try just about anything. Thank you all for your suggestions. I have been battling candida my whole adult life and didn’t realize it until the candida took over when I was under extreme stress. My doctor was mystified, prescribed the usual anti-fungal med that only made things worse. My husband and I had to do our own research and found a natural treatment that worked. It wasn’t until we did much research that I discovered that there was a connection between the candida and toe nail fungus. I have the candida under control as those symptoms are gone but the toenail fungus is stubborn. I wish that someone had told me that the toenail fungus was a symptom of candida many years ago when I had just a hint of toenail fungus. Because of the candida outbreak I have quite an advanced case of toenail fungus and I have tried to keep on top of it with topical treatments — none of which have erradicated the fungus. My mother and grandfather both had toenail fungus but not as bad as mine. In hindsight, I may have inherited the same weaknesses in my body. I haven’t tried Tetra Formula 3 or Zetaclear and my do so, but I will try the bicarbonate to enhance the alkalinity in my body. The only thing that truly works is lasers. NOTHING gets under the nail to the nail bed. Thank you all for your informations. It’s greatly appreciated. I will change my diet to add more alkalinity in my body. I noticed too that stress and acidic state trigger attacks of infection. Thank you SO much! My gross fungus went away! How can I thank you?! I have heard from several different people that applying Vicks Vapo rub to the toenails works. I am trying it now so we’ll see!! If nothing else my cuticles will be soft lol! Great article! In the research I’ve done, the toenail fungus laser treatment has proven results with no side effects. It’s also FDA approved and patients have reported the laser treatment getting rid of their toenail fungus completely. Thank you for the info very informative. Learn which treatment was our surprise top pick for treating nail fungus at home. Susan Miller is an RN Nurse who felt inspired to write about various treatment options for Nail Fungus (Onychomycosis) after suffering from it herself.